Lunenburg Doc Fest is grateful for the support of our Sponsorship Community! 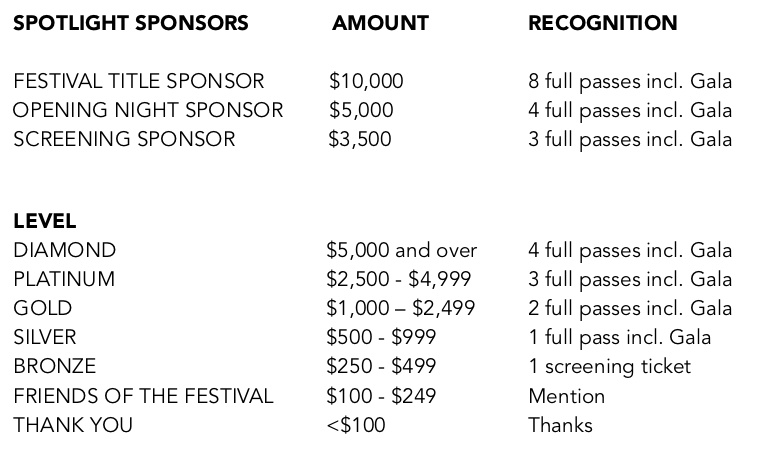 If you share a passion for film and/or wish to connect with our film enthusiast audiences, a Lunenburg Doc Fest sponsorship package will ensure distinguished exposure for you or your brand. 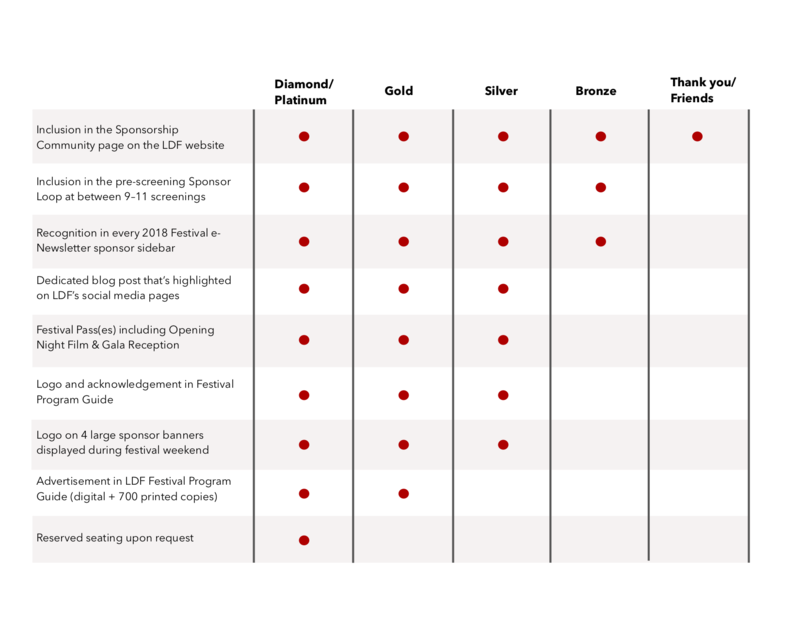 The Festival offers a variety of sponsorship levels and packages and you will directly benefit by reaching a culturally savvy audience through festival program guide advertising, social media, logos on printed materials, a sponsor highlight at each screening, and more. An official charitable donation receipt will be issued for income tax purposes. Donate to Lunenburg Doc Fest to support our mission and help the festival continue to present evocative documentaries for all ages, special community events and educational opportunities. An official charitable tax receipt will be issued for all eligible gift amounts per CRA guidelines.